Providing proper care and maintenance to your outdoor furniture will increase its life span and maintain its luxurious look. 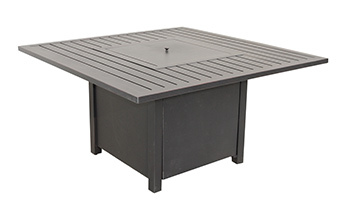 All Beka furniture is designed for the elements and can be left outside year round. However, we do recommend when possible to cover or store your furniture in the winter to further extend its life. Cushions must also be stored for the winter and we recommend storing or covering in bad weather. To clean your furniture, use mild soap diluted in water with a soft wash cloth. Always clean and dry product before storing. DO NOT use any cleaning chemicals or rough materials to clean your furniture. Sling and wicker chairs and cushions should be stored or covered with a proper breathable and waterproof patio future cover during the winter season. Do Not use a plastic tarp as this may cause damage to the paint finish. Tubular chairs should also be stored or covered during the winter season. Be cautious of water accumulation that may or may not occur in ALL Tubular parts before the winter season as this will freeze and expand causing damage which is not covered under warranty. We always take our Beka furniture indoors during the winter months, and it shows! Our patio set still looks brand new six years later. Beka Casting's products are built to last. Ten Year Frame warranty covers structural failure, which includes broken frame or welds when properly sustained. Improper assembly and/or care of the furniture is not covered under warranty. If the structure of your furniture fails when used under normal residential use, we will replace it in the original colour and style only if it is available. However, equal value replacement will be offered in the event of product discontinuance at Beka’s discretions. Water allowed to accumulate inside the tubular frames or parts and then exposed to freezing temperatures can cause damage to the frame and is not covered under warranty. Please read Product Care for proper care and storage instructions. The original proof of purchase is necessary to claim your product under warranty. Warranty for cushions and sling fabrics is ONE (1) year and covers against tearing only when used under normal residential use. Warranty does not cover tears that occur from sharp objects or lack of proper care, nor fading or discoloring of fabric that is caused by exposure to the elements (sun, rain, snow, fire etc.). Warranty also does not cover damage caused to the paint finish due to improper care and/or storage. Please read Product Care for proper care and storage instructions. The original proof of purchase is necessary to claim the product under warranty. Please note: Damage to the frame and/or paint finish that is caused by extreme weather conditions is considered an act of God which is not covered under warranty. This includes damage caused by water accumulating in the tubular frame and freezing which may cause damage. Shipping and handling of the product or parts for repair when required will be the responsibility of the purchaser.